The liver, the largest organ in the body, performs a multitude of complex functions that helps in maintaining homeostasis and health. Due to the multitude of physiological functions that the liver performs, there is no one single test that can be utilized to assess total liver function. However, utilizing a panel of liver tests that can measure some of the functions carried out by the liver or detect liver damage can provide information on the presence of liver disease, type of liver disease, extent of liver damage, as well as response to treatment. Hepatic dysfunction can significantly impair various aspects of drug pharmacokinetics which necessitates close monitoring by the pharmacist. 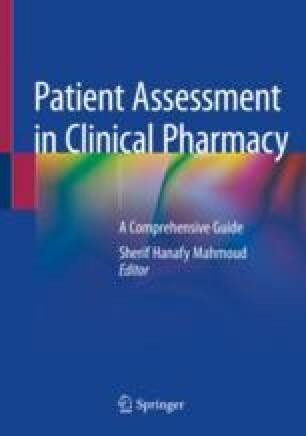 This chapter aims to help the pharmacist to have an assessment of the patient’s liver function and to investigate possible drug-induced causes of liver disease as well as manage drug therapy in patients with existing liver disease. Peng Y, Qi X, Guo X. Child–pugh versus MELD score for the assessment of prognosis in liver cirrhosis. Medicine (Baltimore) [Internet]. 2016 [cited 2018 Jul 24];95(8). Available from: https://www.ncbi.nlm.nih.gov/pmc/articles/PMC4779019/. LiverTox [Internet]. [cited 2018 Aug 4]. Available from: LiverTox.nih.gov.